Before I decided to hike the trail this year I committed to be part of a panel discussion benefitting the PCTA in Truckee. When I started hiking it looked like maybe I could just walk here. When we had to take 4 zeros in Lone Pine due to weather I thought there was no way. But the timing worked out perfectly. I got to Hwy 40 (the road to Truckee) in time to go home and get some clothes to wear! Something besides stinky hiker clothes. 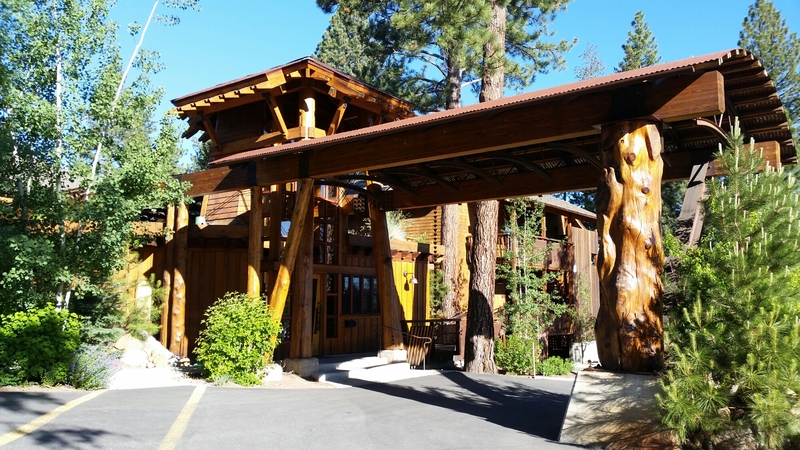 The event was at the Cedar House Sport Hotel in Truckee. The owners of the hotel also own Tahoe Trips and Trails and often lead hikes on the PCT. All proceeds from the event went to the PCTA. The 2012 PCT Class Video was shown first. That got me more excited about what is ahead. It’s on YouTube. Find it and watch it if you haven’t seen it. The panel was composed of 4 hikers. Larry Hilberg who hiked the PCT in about 2002. Justin “Trauma” Lichter who has hiked the triple crown (PCT, CDT and AT) twice including all three in one calendar year. He has also done many other hikes all over the world. Liz “Snorkel” Thomas, another triple crowner who owns the women’s unsupported speed record on the AT, plus has hiked lots more. I met her on the PCT in 2009. It was definitely an honor to be part of this group. On Tuesday, July 22nd, there will be another event….. Beer, Gear and How to Lighten Your Pack. Glen Van Peski from Gossamer Gear and Liz Thomas will speak. If you are around…. go. The hor d’oeuvre from Stella Restaurant are awesome. This entry was posted in Pacific Crest Trail 2014 on June 19, 2014 by nancyhikes.